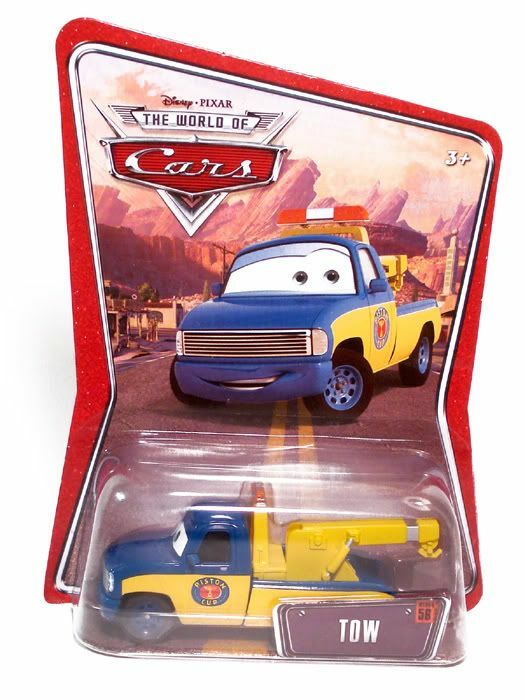 I'd like to see a Ghostlight Mater, one where he's got a lantern on his hook. 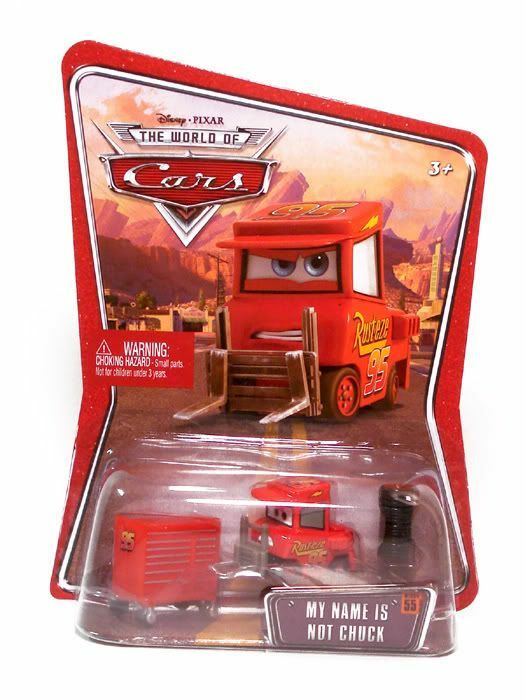 I'd also like to see the version of Mater when he has his old hood on after fishing it out of the ravine. 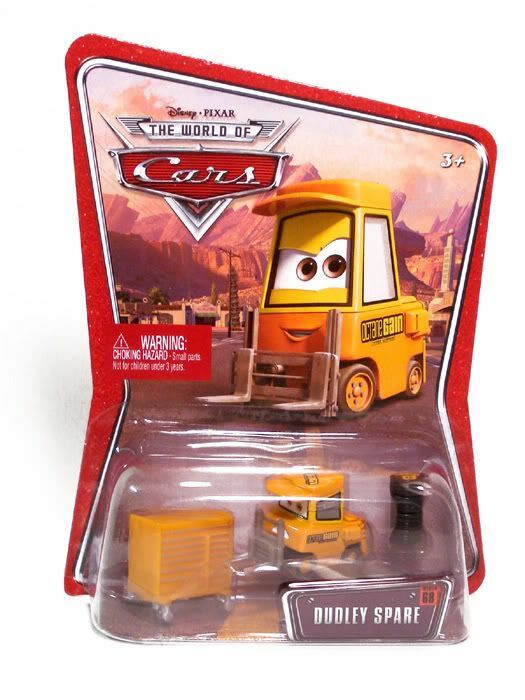 I don't know if this is in the states as well, but here in Canada, in this week's Toys R Us flyer, Cars are on sale for $1.97, down from $3.99. Until March 8. They are limited to 6 per family, so people like Coheteboy can't come in and buy out the store's stock. I'm still patiently waiting for the Bug's Life characters. It is really the only set I'm looking for. Anyone seen it in store yet? I think it comes out this month though. The ones on ebay are from Europe where they were released first. I personally haven't seen them in the states yet, but I'm sure Mellonballer will let us know if he stumbles across them first. Target currently has the DINOCO 400 gift pack on sale for $25.99 (orig. $29.99). 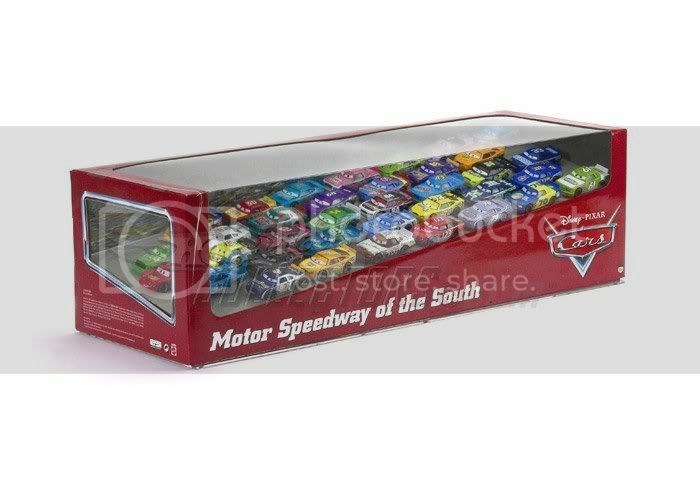 This gift pack comes with a lot of repeat cars (nitroade, king, lightning mcqueen, chick hicks, leak less) but also comes with three new race cars (octane gane, no stall, vinyl toupe). 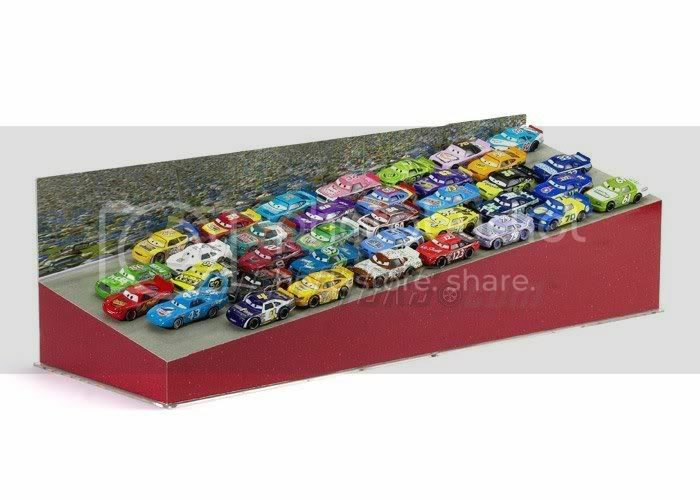 Not the best price but if your'e new to the hobby, it's a great way to get a bunch of the cars all at once. I will let you know if I see them. Another thing about target. Here is a link to a printable coupon that will give you an additional $5 off a $25 toy purchase. I have used it and it works great. I have found lots of stuff lately, and I guess I should let you guys know what I am finding. All finds have been in a Washington St. Walmart. I have found Tow, Dudley Spare, My Name is Not Chuck, Charlie Checker lately. 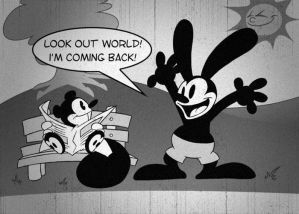 So be on the lookout. I want to get Barney Stormin but I haven't seen any at the local Wal-Mart. Any word yet on a re-release of Sarge? i'm Jones and i'm a Cars addict. one of the true addicts - i have two of eveything (one to open/play with and one to keep sealed) The only thing i lack is the latest MM Gasprin and Gascap and i have just one Flik/PT Flea. 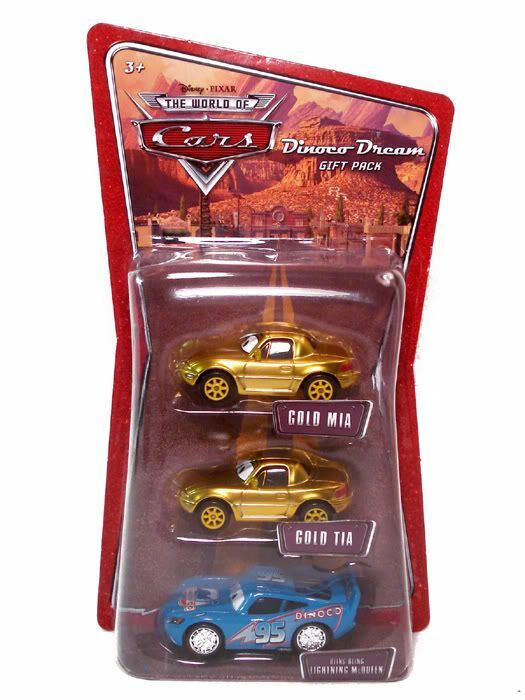 I got my Gold Mia and Tias yesterday and get most of my info at the Cars board linked above. i am even ordering by the singles case now so those are covered for the year (Chuki is the next one due any week now), I get lots of extras but they make great gifts for chaity, but i still visit my Walmarts at 3am and Targets at 8am when convenient for the MMs and just the thrill of the hunt. good luck to everyone chasing them! 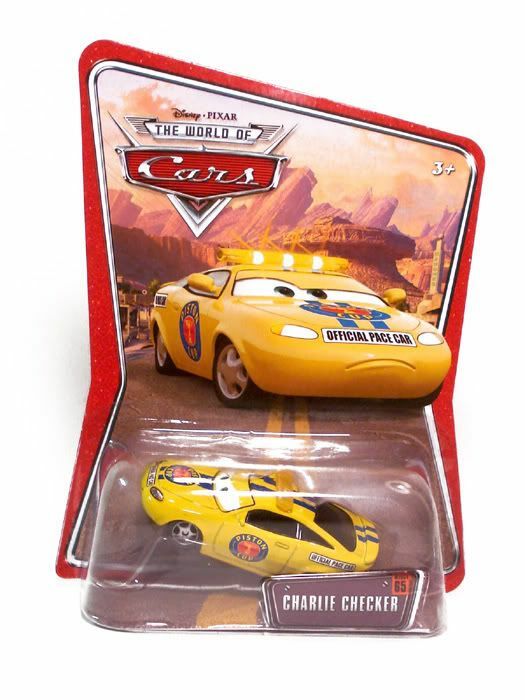 I love that you donate the extra Cars disney jones. Kudos. I give Star Wars figures to Toys 4 Tots and other orangizations every Christmas. Premiered this weekend at the New York Comic-Con is the new Lightning Storm.. premiering at San Diego Comic-Con! Thanks for the heads up. I have been watching for comics news and avatar news so I had forgotten to check for info about toys. You mean Frank? Nope. I hope they do though! But stay tuned. We're on the eve of when they announce the entire year's plans (usually by July) so keep your eyes peeled on this thread. Oh good lord... if they don't release these cars individually, I'm going to have to throw in the towel. 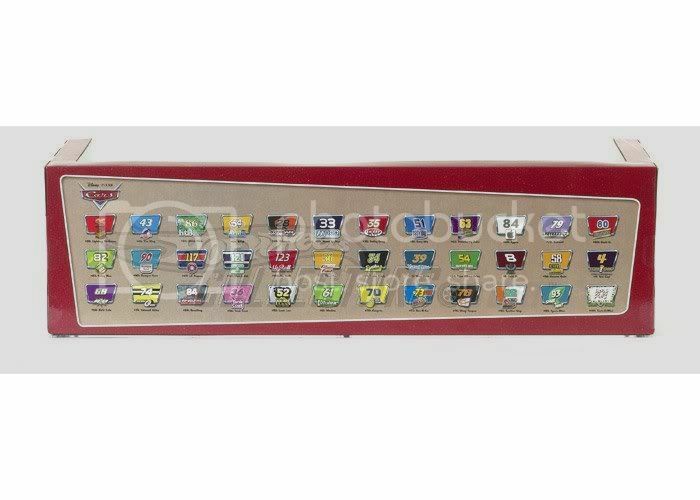 There are 36 cars in this set but if you've been a long time collector like me, there are cars that you will already own. I count at least 8 or 9 cars that have already been released. I heard this will be priced at around $200 too and is a collector club exclusive. What that means, I still don't know. I will post as soon as I find out. I just did a quick calculation, if you buy them separately, it comes out to being about $40 cheaper. But you do get a neat display case if you buy the set. Right. 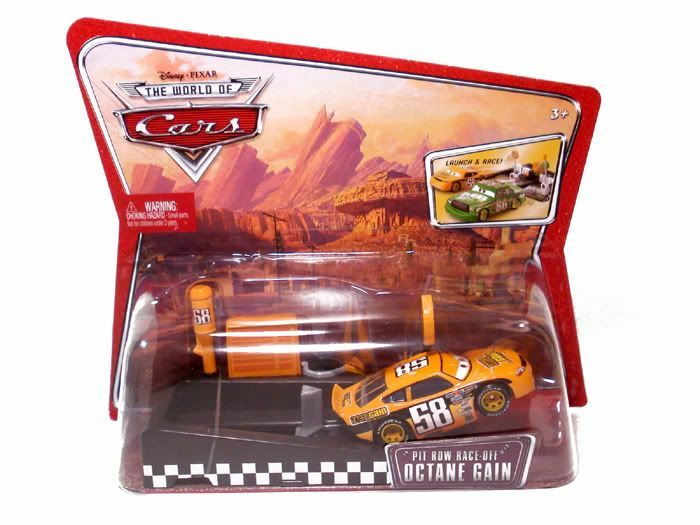 The question will be whether or not they release the cars individually or not.